Ever heard the phrase “it’s a small world”? Well, the world is getting smaller and ecommerce businesses are shipping overseas more and more. The global marketplace is online and it’s almost expected for online shops to offer fast, affordable shipping anywhere in the world. Plus, offering worldwide shipping opens your business to a much larger customer base. I mean, who wouldn’t want to market to billions of people all over the world?! However, shipping overseas can be daunting for a first time ecommerce business owner. Which courier is the best to go with? What happens if a parcel gets lost? Is there insurance involved? What should a new business owner be looking for in an international courier? There are a few basic things to learn about international couriers and we’re here to help you find the best solution for your shipping needs. Here are the top four characteristics to look for when picking up a trusty new courier. It’s essential to keep an eye on your international packages to ensure they reach their destination on time. 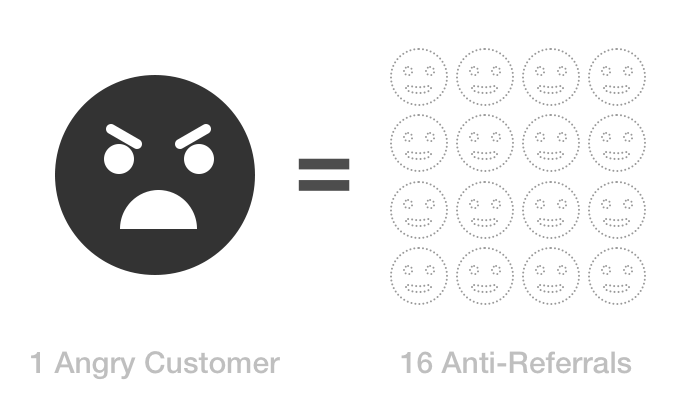 Managing international postage can help boost customer satisfaction and return – did you know that one happy customer tells nine friends on average about their experience, but dissatisfied customers tell sixteen? 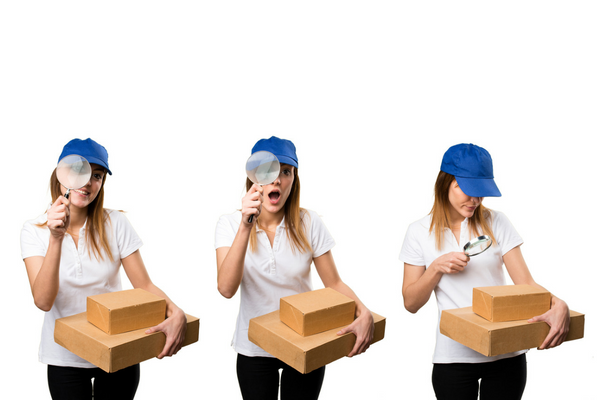 You need to ensure your international courier offers tracking and tracing services, so if something goes wrong or if a customer asks a question regarding their parcel’s location, there’s a simple solution to finding where it is and mending the problem ASAP. We work with multiple international couriers who offer effective tracking and tracing through Transdirect. Want to track a parcel getting delivered via TNT? 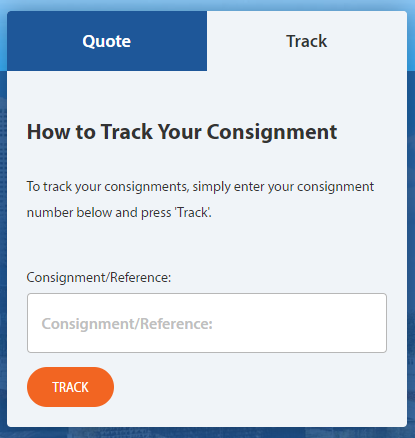 Log onto our homepage and plug in your consignment number. We can find your shipments within a matter of seconds. Alternatively, you can head to the education centre where you can track your parcels with a consignment or reference number. We make it simple to find your parcels, whether they’re national or international. Plus, we only work with the best couriers in the world, so your shipments are in safe, experienced hands. Check out our couriers page for more international couriers who offer international track and trace! You want your shipping to be fast and furious, whether it’s national or international. Customers like businesses who take their shipping seriously, offering affordable prices and unbelievable timing. The online market leaves no margin for error when it comes to shipping; 54% of consumers have said shipping and delivery now define who they shop with. You need to be flexible when it comes to shipping – even for international customers. TOLL Priority provides a similar import and export process for international parcels, documents, and palletised parcels through to critical spare parts and time sensitive products. Both TOLL and TNT allow business owners to choose express or standard shipping, depending on the needs of their customers. Just book a pickup through Transdirect and your parcel will be whooshed off around the world with minimal effort on your part. If there’s one thing ecommerce business owners love, it’s saving time. Whether it’s cutting out the middleman or streamlining a long, frustrating process, business owners love gaining a couple more hours a week for more important tasks, like maintaining customer satisfaction. Being able to book parcel pickups online can help save countless hours of back-and-forth between couriers and yourself. Imagine getting an order online, logging into your ecommerce platform, and booking a parcel pickup within a few seconds! When choosing an international courier for your business, one of the first things you should look for is their ability to take online bookings for parcel pickups, or at least the ability to add a plugin to your ecommerce platform that links to their booking service. Transdirect offers fast, simple booking services in our exclusive Member’s Area. Just create an account, set preferences for couriers and save frequent addresses or items, then in future, booking your favourite international courier takes a matter of seconds. Plus, Transdirect members get discounts on a range of services and features. Want to create an account? Make an enquiry with us here. When choosing an international courier, you don’t want any limitations on where you can ship. The more flexible the courier, the better, and most couriers nowadays want to offer the best shipping experience possible. Our partners ship all over the world. From TOLL to TNT, our couriers offer exceptional service, worldwide shipping, and trackable packages, so you can rest assured knowing your customer goods are in safe hands. Want to explore our enormous range of courier options? Check out our recent blog, 11 Transdirect Associate Couriers Who Offer Cheap, Fast Delivery. At Transdirect, we want to make running an eCommerce business easier for you. Running the whole show can be a major time-vacuum and having to trial and test hundreds of questionable, sub-par couriers can be a real downer. Who pencils in lost parcels, damaged goods, untrackable packages and stolen items into their calendar? Finding a trustworthy international courier should be simple and seamless! Transdirect’s partner couriers have been tried, tested, and selected to manage eCommerce shipping practices for our clients. Want to talk to one of Transdirect’s shipping experts on finding the right international courier for your business? Save time on international shipping. Submit an enquiry and one of our team members will contact you ASAP.